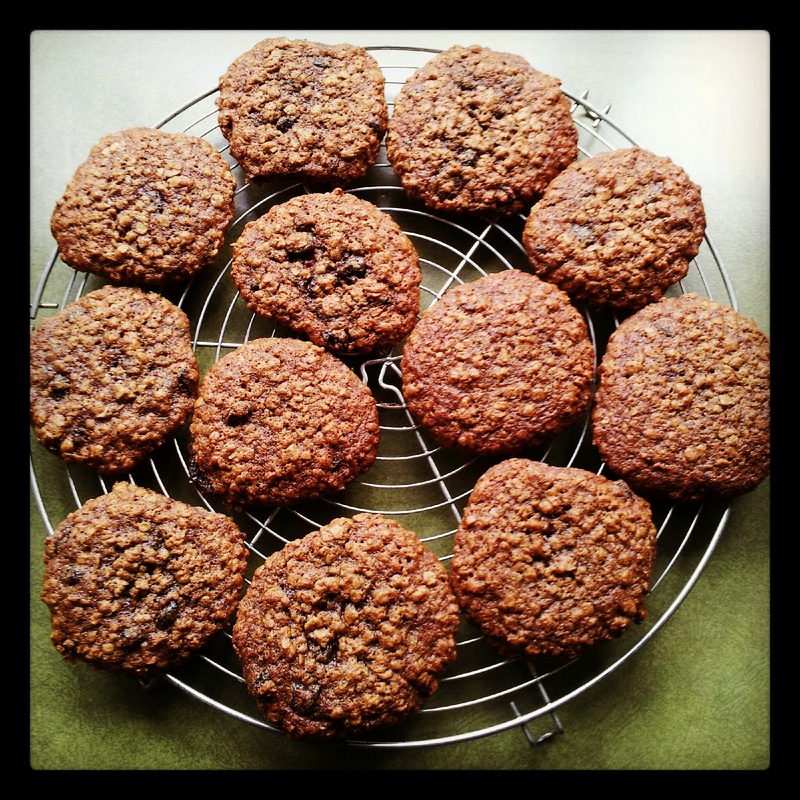 These oatmeal raisin cookies are the perfect blend of chewy and soft, buttery and cinnamon-spiced, brown sugar sweetened with a hint of molasses flavour. They’re amazing warm from the oven with a cup of coffee or glass of milk. I love them crumbled over vanilla ice cream too! – Use room temperature eggs. A good rule of thumb: always use room temperature eggs when using room temperature butter. – Soak your raisins in warm water for 10 minutes before using (blot very well to dry them) – this makes them nice and plump for your cookies. Cream the softened butter and sugars together in a large bowl until smooth and light. Add the egg and mix until well combined. Scrape down the sides and bottom of the bowl as needed. Add the vanilla and molasses and beat well until combined. Add the flour, baking soda, cinnamon, and salt into the wet ingredients and beat well until combined. 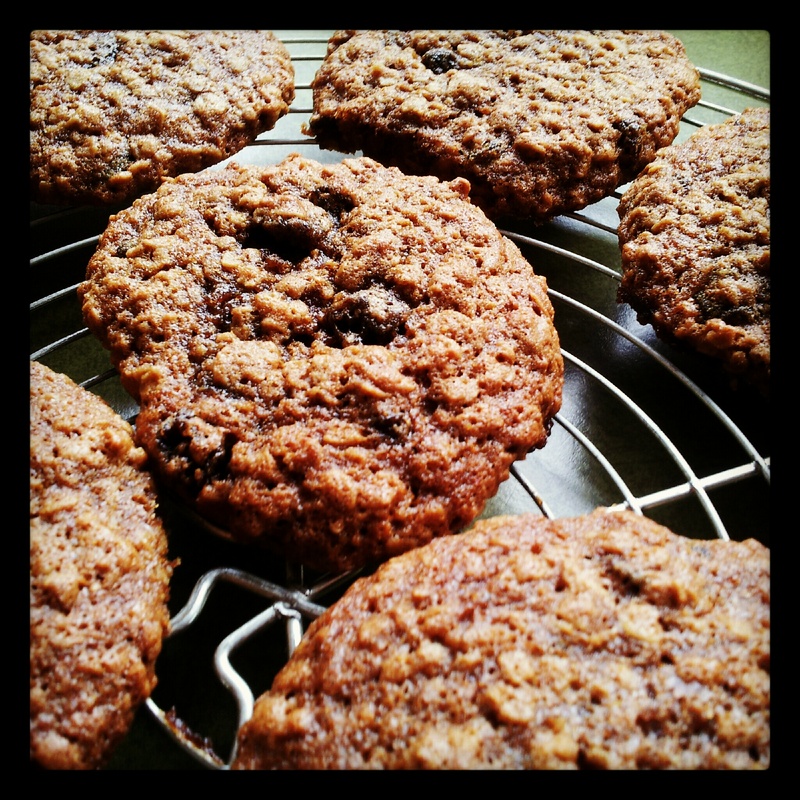 Beat in the oats, raisins, and walnuts (if using). The dough will be thick yet very sticky. Chill the dough for 30-60 minutes in the refrigerator (do the full hour if you’re afraid of the cookies spreading too much). If chilling for longer (up to 2 days), allow to sit at room temperature for at least 30 minutes before rolling and baking. Preheat oven to 180C. Line large baking sheets with greaseproof paper. Roll balls of dough (about 1.5 tablespoons of dough per cookie) and place 2 inches apart on the baking sheets. Bake for 10 minutes until lightly browned on the sides. The centres may look very soft and undone-this is fine. Remove from the oven and let cool on the baking sheets for 5 minutes before transferring to a wire rack to cool completely. The cookies will continue to “set” on the baking sheets during this time. Once completely cooled, store the cookies in an airtight container at room temperature for up to 1 week. Baked cookies and rolled cookie dough freeze well for up to 3 months.